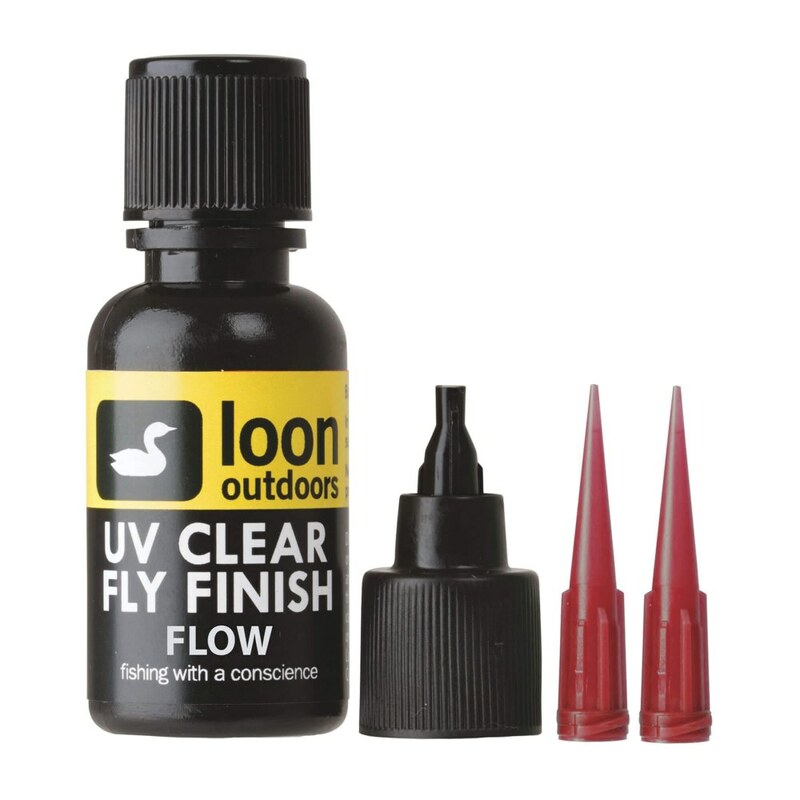 UV Clear Fly Finish is for those who believe ”five minutes to cure is five minutes too long.” No mixing or waiting is required, and it remains workable until exposed to direct sunlight or Loon’s UV lamps, at which point it will cure in a matter of seconds. Use it as an adhesive for eyes, a thick head cement, quick-building clear back for scuds, or instant repair for damaged flies. FLOW is thin enough to be used as a head cement replacement, but strong enough to coat heads, bodies and buzzers.